​Take away the hassle and mess of removing your Christmas tree. Green Tree Delivery will remove your Christmas tree, clearing away any needles and leaving the area clean and tidy (when choosing our Gold or Platinum service). ​Then put your feet up safe in the knowledge that your tree will be whisked away to a recycling centre, whereupon it'll begin its new life as mulch or wood chips for bridle paths and playgrounds! Choose a collection date and a time slot suited to you, just make sure it's within 12 days of Christmas! This service is available across London. *Scroll down for more information on silver, gold and platinum services. 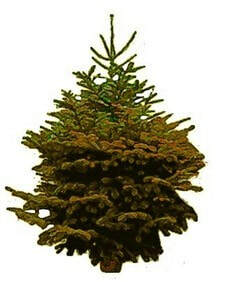 Please select the height of your tree accurately if large sizes are applicable. ​Please don't hesitate to contact us by phone or email if you have any requests not covered here (e.g. complex or multiple trees). All requests will be considered.